We’ll help you create a comprehensive benefit plan that will help you retain, attract, and reward employees. Working with partners who we’ve identified as the best in the business, we can provide a turnkey solution, with vision plans, life and AD&D coverage, corporate wellness, and more. We can even create and manage a self-funded dental plan that provides the same benefits and same great coverage as your current dental plan. We want to be a true partner in your business – and in your success. 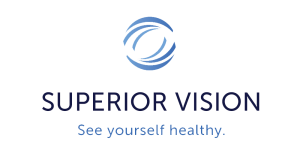 Superior Vision is a leading provider of vision benefits. Employer groups nationwide choose Superior Vision due to its unparalleled provider network, easy-to-administer benefits, outstanding customer service, and low out-of-pocket costs to employees. Vision is all that Superior Vision does, and they are the experts. 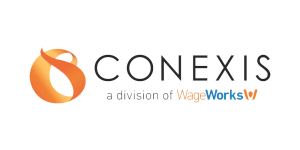 CONEXIS, a division of WageWorks, Inc., is our preferred partner for various benefits services. CONEXIS helps employers offer quality benefits programs to their employees and retirees, including account-based plans like flexible spending accounts (FSAs), health savings accounts (HSAs), and health reimbursement arrangements (HRAs), as well as COBRA administration and Direct Bill services. 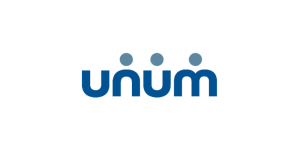 Unum is a leading provider of financial protection benefits through the workplace. The disability insurance leader in the U.S. for 38 years, Unum’s portfolio of financial protection products also includes life, accident and critical illness, which help protect millions of working people and their families in the event of an illness or injury. 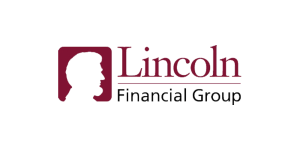 Lincoln Financial Group helps employers protect their employees’ financial futures through employee benefits, including disability benefits and life insurance. Their practical tools help employers maximize their bottom line while improving the workplace environment for employees, helping them attain lifestyle, savings and income goals and guard against long-term care expenses. The same principles that make self-funding attractive for medical benefits can also work for dental plans. We can design and administer a self-funded dental plan that allows employer groups to offer a valuable benefit that employees like and use – at an affordable, predictable cost. HealthFirst builds and manages self-funded dental plans that can match the benefits currently offered under a fully insured plan, or can be custom-designed to match client needs and resources. In a self-funded dental plan, the employer pays only administration fees plus services actually provided. This can provide significant savings over a fully insured plan, in which premiums remain the same no matter how much dental care is used. Nationally, dental claims average only about $400 per person per year, and statistics from the American Dental Association show that about 30 percent of insured adults do not visit the dentist annually. Immediate Savings. In an average year, a self-funded dental plan will cost about 20 percent less per year than a similar, fully insured plan. Low Risk. Because it isn’t necessary to include hospitalization or other high-cost services, dental plans have a low annual limit on expenditures per person – typically, $1,000 to $1,500 per person. This means employer risk is very low. Plus, unlike most self-funded medical plans, self-funded dental plans do not require the purchase of stop loss insurance to cover the risk of claims being much higher than anticipated. Better Health And Well-Being. Good dental health is linked to good overall health. People with serious gum disease are up to 40 percent more likely to have a chronic condition, and poor dental health has been linked to serious illnesses including heart disease and diabetes. Encouraging good dental care can help plan participants identify and manage other potential health problems. Self-Funded Savings Apply. Enjoy the same financial advantages as with a self-insured medical plan: No premium taxes, avoidance of high premium increases, and better cash flow due to the pay-as-you-go approach.